Kansas City – KQRC – 98-9 The Rock! 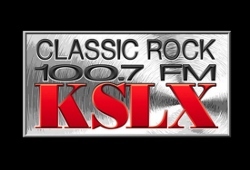 Category Kansas City – KQRC – 98-9 The Rock! Prior to coming to Phoenix, I was the Afternoon Guy & Award-Winning (see Press section) Music Director for Kansas City’s 98-9 The Rock! Duff McKagan is a busy guy! This comes from 2009’s Summer tour with his band Loaded. Velvet Revolver remain in a holding pattern I thought they would have worked out their singer thing by now. But, it turns out Slash is doing a solo project (which is AWESOME BTW). This was a fun interview. Duff tells the tale of getting a tat from a tweaker, and the zany, wacky, madcap, side-splitting, gut-busting radio jocularity ensues! Keith from Buckcherry stops by the booth in Kansas City to talk a bit about the world of Buckcherry. Turns out we spoke right about the time their record company foolishly abandoned the band. Very odd considering how big they were. Buckcherry has a weird dark cloud hovering over them. Can’t quite figure it out. Keith’s good people. Here’s a band out of New Jersey that may, or may not make it. I like them. They have a great CD called “And You Were A Crow” that you should go pick up if you can find it. We had them come in to Kansas City and put them in front of a festival crowd and they went over great! Keep an ear out for new stuff from these guys. A band worth checking out…assuming they last!